December 12, 2018, 4:30 p.m.
Labels can be deceiving. A pair of sweatpants with a tag reading “Made in USA,” for example, might be produced in China. 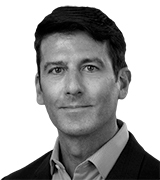 For this reason, the trade group Alliance for American Manufacturing recently asked the Federal Trade Commission to get tougher on companies using fraudulent “Made in USA” labels to help make goods appear more attractive to unsuspecting shoppers. “That ‘Made in USA’ label carries a lot of clout and can be a big selling point,” the Alliance for American Manufacturers argued on its website this past October. 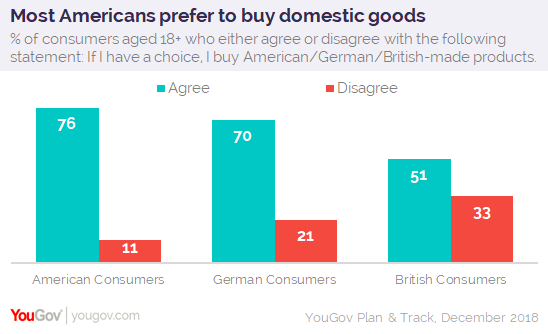 According to new data from YouGov Plan & Track, 76% of US adults aged 18+ agree that, if given the choice, they tend to buy American-made products. Only 11% disagree. On a global scale, Americans show more interest in buying domestic goods than consumers in either Germany or the UK. In total, 70% of German adults say that, if given the option, they tend to buy German-made products, while 51% of British adults say they’d buy British-made goods. Older Americans are more likely than younger Americans to say that, if given the choice, they tend to buy products made in the US. More specifically, 89% of those aged 65+ and 84% aged 50-64 prefer to buy American-made goods. Among US adults aged 18-34, on the other hand, only 59% feel the same. In terms of political ideology, 88% of conservatives say they’d purchase American-made products if given the option, compared to 76% of moderates and 68% of liberals. 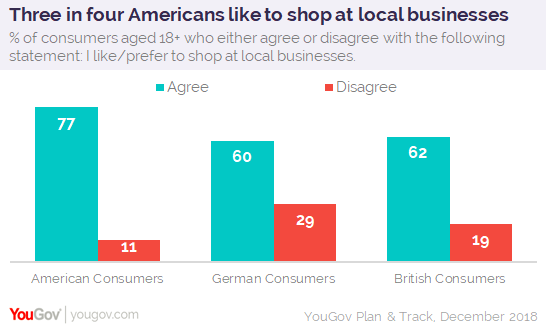 On a related note, when asked if they either like or prefer to shop at local businesses, American consumers also recorded a higher agreement rate (77%) than either Germans (60%) or British (62%).